THEME 2 "Opening Up the Public Sector Through Collaborative Governance"
The European Institute of Public Administration (EIPA) - mandated by its Board of Governors and with the institutional and financial support of 11 European countries and the European Commission - invites applications to the third European Public Sector Award - EPSA 2011. 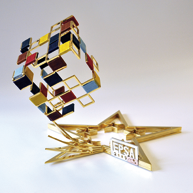 The EPSA 2011 will be awarded on the occasion of a high-level event on leading-edge public administration solutions, which will be held on 15-17 November 2011 in Maastricht (NL), under the auspices of the Polish Presidency. This event thus presents a unique opportunity for European administrations with innovative performance and achievements to reach an extensive audience and to be recognised as being leading edge at the European level. The aftermath of the financial and economic crisis poses a true challenge not only to the private sector but also to the public sector. Furthermore, in alignment with the EU 2020 strategy, local, regional, national as well as European public administrations are expected to meet the ambitious vision of smart, sustainable and inclusive growth for the future of the European Union. It is therefore even more important to highlight and reward public excellence in administrations that are finding innovative responses in times of budgetary constraints and are succeeding in delivering outstanding public services. EPSA will reward those projects which address European public sector challenges and are crucial drivers for change in the way that public administrations function in the 21st Century. In turn, these projects will provide an insight into proactive approaches of hundreds of public administrations facing current challenges such as climate change, the supply and sources of energy, demographic change, rising unemployment and social exclusion. Involvement of the civil society is necessary for providing effectiveness, output orientation, cost efficiency and ownership in a society with growing complexity and increasing social demands. This has been especially relevant as a result of demographic changes and continuous cuts in public investment (especially in the most ‘sensitive' areas of intervention, such as social care, education, communication, etc.). By using collaborative tools the citizens' and businesses' trust in politics will increase. Collaborative governance aims, amongst others, to: enhance openness, transparency and accountability of government and administrations - in itself prerequisites in a democratic society; share information, knowledge and experience in order to create ownership; enable dialogue and consultation between administrations and civil society in order to find the best solutions; create instruments for feedback and evaluation on governmental and public administrative decision making in order to find the best solutions; and finally facilitate citizen involvement in debating, discussing and deciding within decision-making processes. In effect, we are looking for showcase projects that attempt to adapt private sector models of consumer involvement in policy planning and delivery, but which also build on concepts of "open government" and "active citizenship", ultimately allowing citizens to engage in the planning and delivery of public services. Essential questions such as: How and to what extent are citizens, civil society, administrators and politicians involved in the process and/or system? How can their satisfaction with the process and/or system be measured? What is the level of actual efficiency achieved? What are the costs versus the benefits of a new approach compared to any traditional methods/processes? Innovation takes place in all sectors and in all levels of governance in order to deliver more services and more effective administration for less money. An essential tool is to open the public sector by using different measures. We can therefore foresee applications from a number of specific entities all reflecting their special needs and the framework within which the entity works. Such open data can be related to the distribution of goods and services, the financing of public services, the organisation of the deliveries and interaction between levels and sectors. In many cases this will be financial information or administrative requirements. • Prepare citizens through openness (access to information and well functioning ICT systems) to take an active part in the decision-making processes. The applications should demonstrate and describe the new governance arrangements, including the structure of the partnership or institution, the management of risks and clarity of responsibilities for the partners so that it can be of value for other sectors and levels of governance. • Confirmation that the application has been submitted (i.e. notification mail) before deadline (hrs). It is encouraged to submit projects showing consideration of gender mainstreaming, technology (ICT-enabled solutions) and sustainability aspects. In addition, those projects benefiting from EU supportive actions, such as the European Social Fund Administrative Capacity Building priority, are especially invited to submit their achievements. The submitted applications will first be checked for eligibility. If the eligibility criteria are met, a registration number will be allocated and the project is subsequently subject to evaluation. The project will then be reviewed and assessed online against both the general and theme specific criteria by three evaluators from an internationally acknowledged, independent and impartial pool of experts. The evaluation process subsequently includes a consensus meeting and on-site visits to a small number of short-listed projects per theme for validation and verification purposes. Finally, a jury will select the nominees/finalists and final winners of the EPSA 2011. 5. Learning capacity and transferability: the lessons learnt and the potential value to other entities; the project provides the potential for successful replication by other governments; it stimulates improvement in its application and provides mutual learning perspectives. 3. Assessment against alternatives for collaborative governance. The online application period is open from 17 January until 25 March (24hrs) 2011. Prior online registration is required.